On the 150th anniversary of his birth comes this monumental biography of Arturo Toscanini, whose dramatic life is unparalleled among twentieth-century musicians. While this consuming passion constantly blurred the distinction between professional and personal, it did forge within him a steadfast opposition to totalitarianism and a personal bravery that would make him a model for artists of conscience. As early as 1922, Toscanini refused to allow his La Scala orchestra to play the Fascist anthem, "Giovinezza," even when threatened by Mussolini’s goons. And when tens of thousands of desperate Jewish refugees poured into Palestine in the late 1930s, he journeyed there at his own expense to establish an orchestra comprised of refugee musicians, and his travels were followed like that of a king. 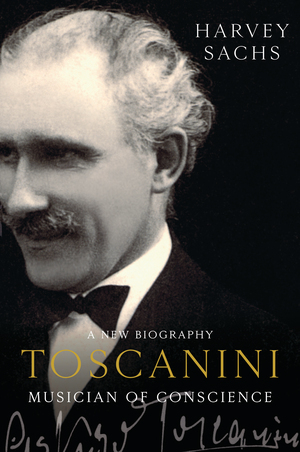 Thanks to unprecedented access to family archives, Toscanini becomes not only the definitive biography of the conductor, but a work that soars in its exploration of musical genius and moral conscience, taking its place among the great musical biographies of our time.